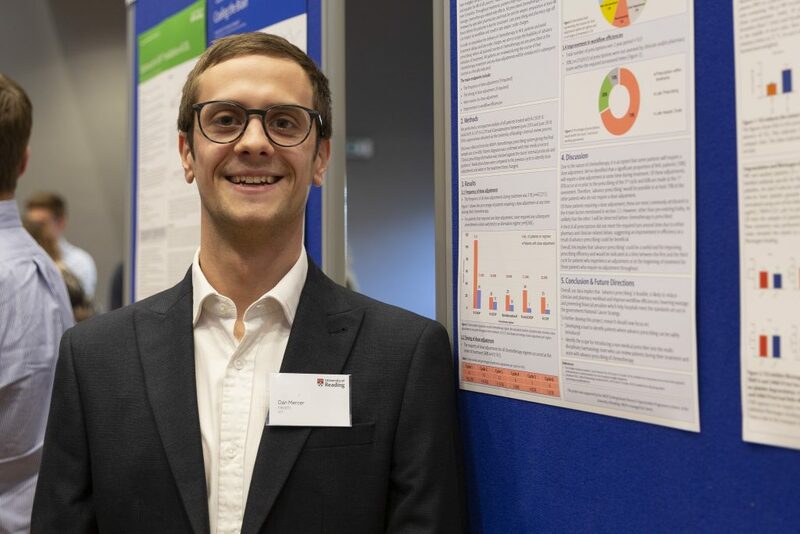 Pharmacy student Daniel Mercer is one of two winners of Reading’s annual undergraduate research programme. We spoke to him about his research to improve prescription of cancer drugs and what it was like to be involved in a real-life research project before even getting his degree. Non-Hodgkin Lymphoma (NHL) is the sixth most common cancer in the UK, with 13 new cases diagnosed every day. It is often treated with six courses of chemotherapy over six months. These big guns of the drugs world must be prescribed three days before treatment begins, and checked and ordered by a cancer specialist pharmacist at least 48 hours ahead. But clinicians in busy cancer units are sometimes late to prescribe and order chemotherapy. That can lead to inefficiencies in the system, delays in treatment and late order charges to the NHS. It was this real-world research problem which Reading pharmacy student Daniel Mercer took on over the summer break for his Undergraduate Research Opportunities Programme placement, supervised by Reading’s Dr Nilesh Patel and Nadjoua Maouche from Oxford University Hospitals. Over the two-month project, Daniel looked at whether it would be feasible and safe to prescribe the six planned courses of chemotherapy all in one go at the start of treatment. The hope was that this might improve efficiency, provide a better experience for patients and reduce late prescription costs. Daniel analysed data from the hospital’s chemotherapy prescribing system for over 200 NHL patients between 2016 and 2018. He discovered that only 31% needed their dose of chemotherapy adjusting after the first course. Most dose adjustments were made before treatment started or during the first three months. The main reasons were because of patient frailty or because the chemotherapy had caused damage to the liver, nerves or infection-fighting blood cells. These are things that experienced clinicians would usually pick up before prescribing chemotherapy anyway, explains Daniel. 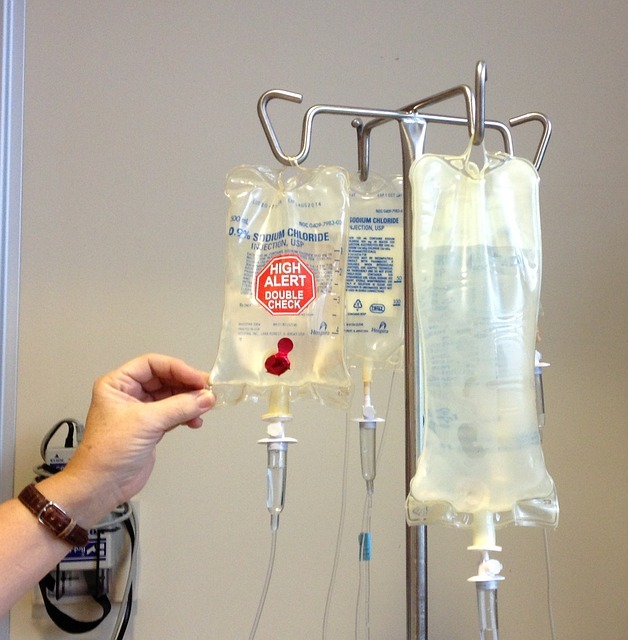 “Patients are reviewed and assessed by specialists before each course of chemotherapy is administered to make sure adverse events are monitored and managed.”. His study concludes that, for the remaining 70% of patients, three to six courses of scheduled chemotherapy could potentially be prescribed in advance. This could not only cut the workload of stretched NHS clinicians but also reduce drug waste and minimise costs incurred from late ordering, while keeping patients safe. Daniel was selected one of two winners of the UROP Poster Showcase on 14 November. His poster was selected from 72 projects on everything from studying ancient civilisations in Peru to tackling loneliness in the UK. He will present his poster in Westminster in March as part of the annual Posters in Parliament event organised by the British Conference of Undergraduate Research. So how did he find the experience? Daniel says: “With pharmacy being a vocational degree, it’s great to get the opportunity to be involved in research within a working environment and to see and understand the impact this has on future practices. Reading’s Undergraduate Research Opportunities Programme (UROP) gives students the opportunity to gain real research experience with an academic at the university. Each six-week project has been specially designed to provide a genuine insight into the research environment and can make a significant contribution to an undergraduate’s transferable skills and employability. The deadline to make proposals for staff who are interested in running a UROP placement is 21 December 2018. Those projects selected for funding are then advertised via the placements page in the Spring term. You can register your interest here and find out more on our website.